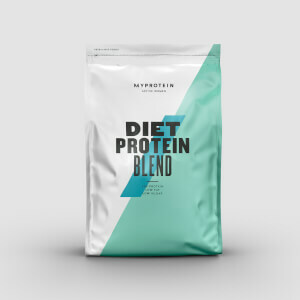 This blend is made with highly purified collagen peptides to give you a delicious shake with at least 90% protein content, helping you to meet your daily intake without taking on unnecessary fats and carbs — ideal for weight loss and muscle gaining goals. 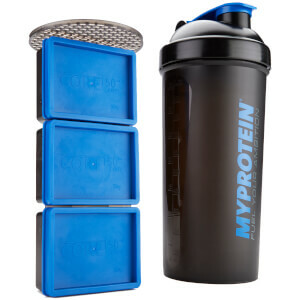 There’s 22g of protein per serving, which helps to grow and maintain muscle,1 making this an important training support to help you progress with fitness goals. As this protein comes from hydrolysed peptides, it’s also more bioavailable and therefore more easily absorbed into the bloodstream. Collagen is the most abundant protein in the body and is a key part of all connective tissues — our shake is a sweet and simple way to make sure you’re getting enough of it in your diet. 2. The beneficial effect is obtained with a daily intake of 3g of creatine. When to take Collagen Protein? Get the most from this blend by adding 1 large scoop to water or milk pre- or post-workout. What does Collagen Protein work well with? Unflavoured: Hydrolysed Collagen Peptide (100%). The nutritional information is based on the Unflavoured product, when choosing an alternative flavour the nutritional values may vary. I usually have a hot cup of bone broth powder instead of a shake before bed, this unflavoured stuff mixes like magic. Couple of scoops in with a teaspoon on bone broth powder - zero taste so it doesn’t affect the broth flavour but mixes perfectly and gives me all the protein I need but without a sickly sweet flavoured powder before bed. Awesome stuff highly recommended! I bought it for all the claimed skin and joint benefits. It's also protein, so can't go wrong with that. 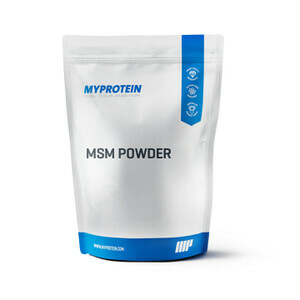 I've learned by now to mostly get unflavoured products from myprotein as the amount of sweetener added is usually sickening. Unflavoured version is fine, mixes well with oats or in a smoothie in a blender. I mix it with milk and add fruit or flavour drops. About to purchase my second bag. I got the vanilla taste - I had a few hydrolysed protein before and they never had a flavour added to it. This one is like drinking sugar water. It is horrible sorry I won't buy anything here again. I love how well it mixes, in a shaker, sprinkled over oats or in a blender, there is never any clumps. The taste surprised me, it is sweeter than expected. I add a scoop to my morning smoothie and I don't get sugar cravings all day, well ever anymore. Also I enjoy that there is no chalk after taste. I do use all three flavours. Chocolate is my favourite. Vanilla is yummy though not as creamy tasting as other proteins powders. Strawberry tastes the sweetest. I do wish it comes in more flavours. The only downfall is I don't like the way it tastes mixed with water. It turns into a weird very sweet thicker tasting water. The flavour doesn't really come across, note I only tried with the vanilla and strawberry, you only get a sweet taste. I put this down to not being a whey base protein and my tastebuds prefer a creamier taste over sweet. I purchased all three flavours of this product as I've read very encouraging reports on collagen and its effectiveness against aging of the skin - especially cellulite, wrinkles, hair health, etc. I've only been using the product for a week so can't comment on its effectiveness just yet. However I don't know that I'd repurchase due to the flavour - each of the three varieties are sickly-sweet. I'll finish the 1kg bags as I'm super curious as to the results- but it'll be tough given the taste! Not sure I'd repurchase unless they can reformulate the taste. If the results end up outweighing the taste I will surely update my review! Delicious, yummy vanilla flavour..I add it to my oates, post drink etc, mixiability excellent, available complete protein analysis percentage high.. My favourite flavoured collagen protein supplement..
With almost anything..unfortunately has an unusual texture when mixed with wateri..